Our sofas have self decking which is the matching fabric on the deck under the cushions which can be removed to make repairs. Very valuable...! Center your living room layout around this classic sofa. Rolled arms, a square tufted seat back and turned bun feet create a traditional look, while plush cushions create the perfect comfort level. Available in multiple color options so you can find the perfect match for your decor. 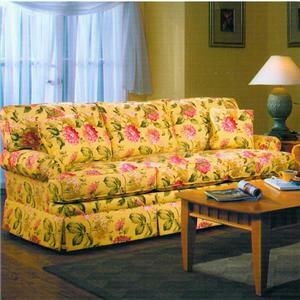 The 83 Sofa with Rolled Arms by Lancer at Town and Country Furniture in the Hamburg, Buffalo, Lackawanna, Eden, NY area. Product availability may vary. Contact us for the most current availability on this product. The 83 collection is a simple way to bring a casual and traditional feel into your home. Square tufted backs, rolled arms and turned bun feet on this sofa and chair create classic silhouettes that blend effortlessly with traditional or transitional styles. Also available, but not shown, is a loveseat and ottoman to create a completed look to your living room, family room or den. 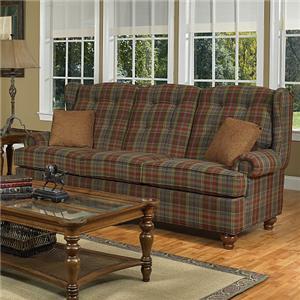 Multiple fabric options are available so you can find the best match for your interior style. 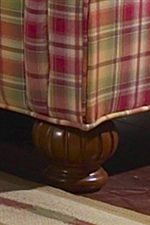 The 83 collection is a great option if you are looking for Traditional furniture in the Hamburg, Buffalo, Lackawanna, Eden, NY area. 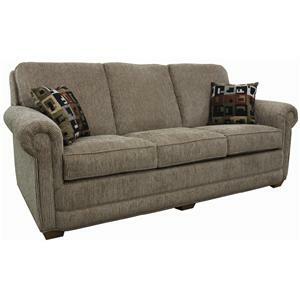 Browse other items in the 83 collection from Town and Country Furniture in the Hamburg, Buffalo, Lackawanna, Eden, NY area.